(More pictures available, please inquire.) 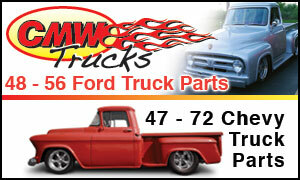 The Ford F-Series have been some of America's favorite trucks since the F-100 pickup truck was introduced in 1948. Eventually the F-100 evolved into the extremely popular F-150 and then Ford brought about a more powerful and heavy duty variant called the F-250. 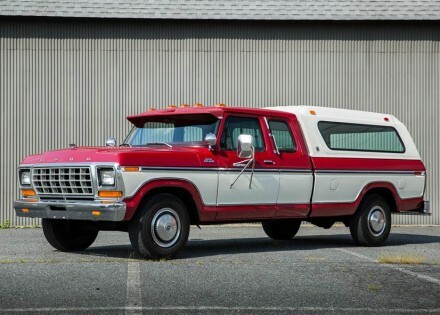 The example on offer is a 1979 Ford F-250 Custom Super Cab that has been well preserved ever since it rolled off of the production line. 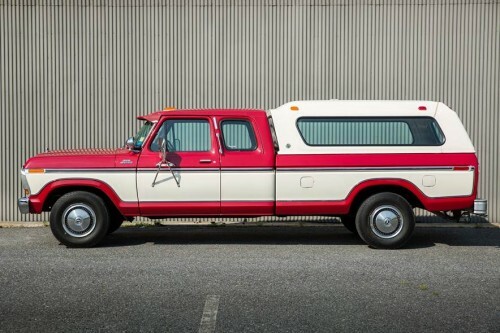 This matching numbers example still possesses its original paint, interior, wheels, and tires, which make this truck a certain rarity among its breed and would be an intriguing addition to any collection. 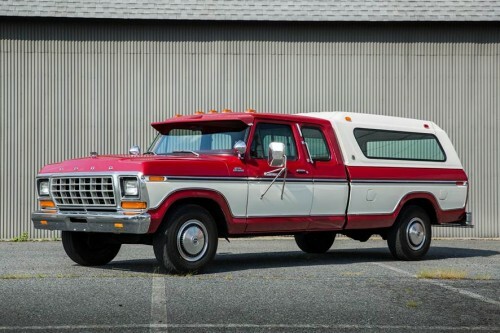 Not only is this truck in completely original condition, it also has just over 3,900 original miles and has extensive period documentation that adds to this truck's desirability. This is a 3-owner truck and spent all of its life in the New York area until it was brought to Philadelphia where it currently resides. The exterior of this truck presents as a solid driver quality example and it can be easily concluded that this truck never received any harsh treatment or abuse. 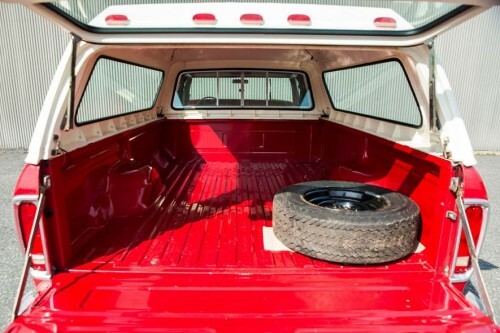 The truck bed is absolutely flawless and houses the original spare wheel. The truck bed has no dents or significant flaws with the paint presenting as new from the factory. Stepping into the cabin, you are presented with a complete and immaculate original red interior. The front seat has absolutely no flawing and matches the great condition of the rest of the truck. This model is a super cab so it has a rear bench seat which can be folded down if one desires to. All the original gauges, radio, switches, knobs, and interior lighting function as they should without any fidgeting necessary. 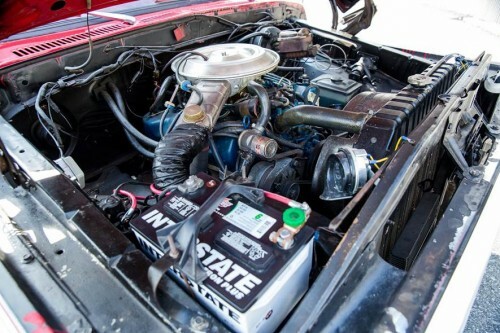 A look underneath the truck will show under spray which can also be found in the engine bay normally being incorrect however, when this example was purchased new, the first owner also purchased the rust proof guarantee. 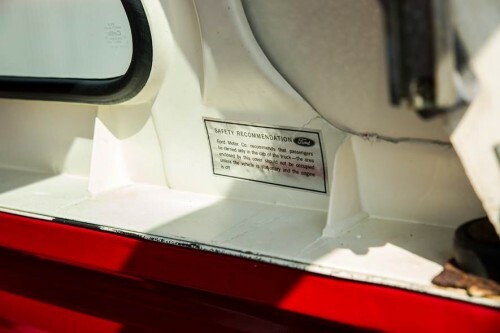 In period, Ford Motor Company dealerships offered this to customers and is why there is under spray in the previous mentioned areas making but is period correct for this truck. As far as the mechanics are concerned with this truck, it runs and drives as it should. A couple months ago it was driven from Philadelphia to Harrisburg and back and it ran great. It does not smoke at all, the engine fires right up consistently, it holds a good operating temperature, and has good oil pressure. The engine itself runs well, idling comfortably and pulls strong when you put your foot down. The brakes also function as they should, allowing you to come to complete and timely stop when needed. 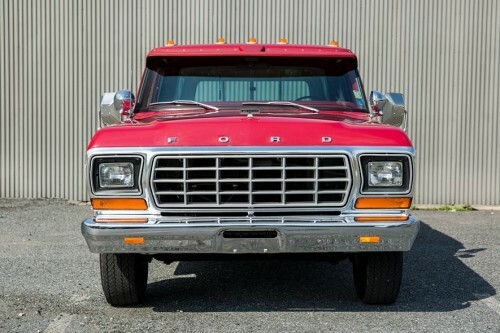 All in all, this 1979 F-250 has some rare and desirable qualities that make it worthy of a collector quality status. Its authentic originality and extensive documentation from new put it in a league of its own. 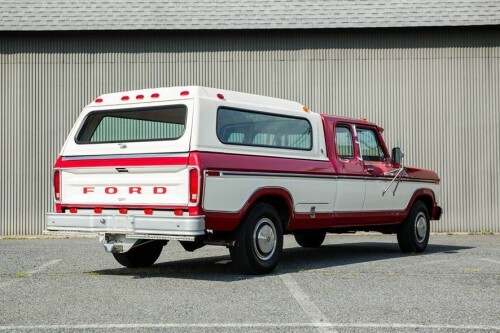 When compared to similar Ford F-Series trucks on the market, it is extremely challenging to find one that has not received years of abuse for these are meant to be an everyday work truck, so to find one that has been preserved to such high degree which is what give this truck its current value as well a substantial potential in the future market. The truck is readily available if you would like to come and inspect it. I am accepting offers. 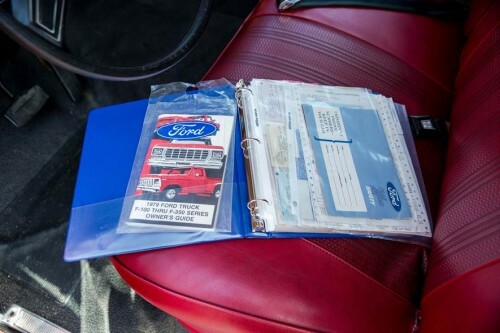 This truck comes with the original books and wheel covers. Please contact me if you have any questions or would like to come inspect the truck.